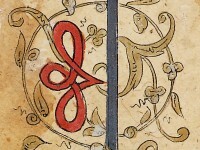 This attractive page (Qur’an, 4: 23) bears witness to the range of luxurious materials that were used to copy the Qur’an. 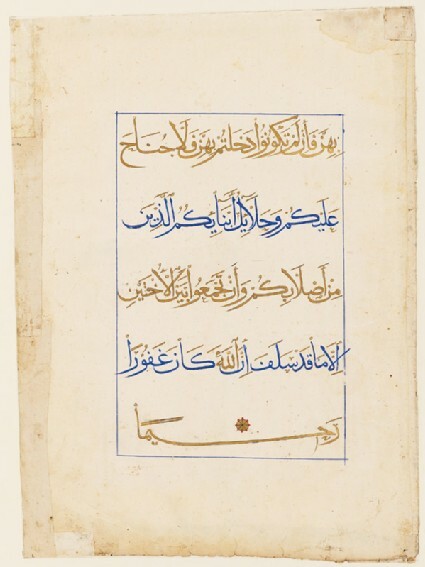 Gold is used for three of the five verses filling each page, as well as to indicate the vowels and the word Allah (God). The choice of blue and gold in relation to Qur’ans is rare, but not unknown. 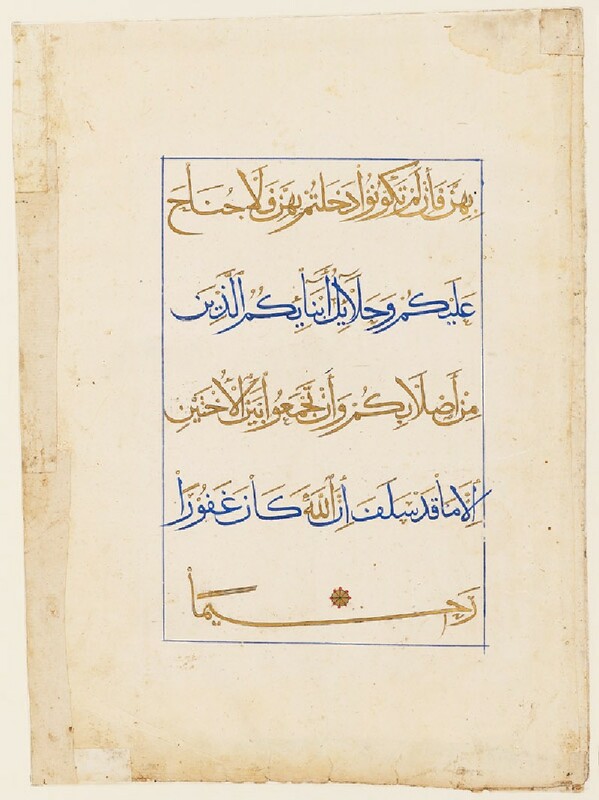 The most famous other instance is found in the so-called ‘Blue Qur’an’, one of the most celebrated Qur’anic manuscripts, which is written on blue parchment entirely in gold.